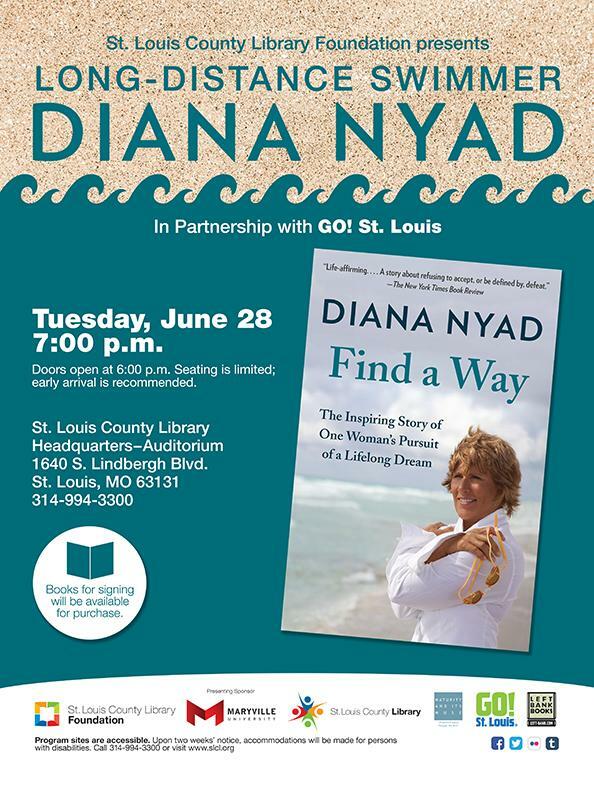 So, my friends, what are you doing tomorrow night?I hope you will be able to attend Diana Nyad’s personal appearance at St. Louis County Library Headquarters, Nyad will share her inspiring story of the way she has defined herself through the fulfillment of her personal goal…a lifelong dream made into reality. A wonderful opportunity for all of us. Come and get inspired to work through your own bucket list!